Rice has had it rough lately. Long considered the most easily digested grain, it is often the first solid food given to infants. It is free of gluten and rarely causes allergic reactions. It’s a staple food for more than half the world’s population, particularly in Asian countries like China, Japan, and India. But in recent years, rice has been getting a lot of bad press. 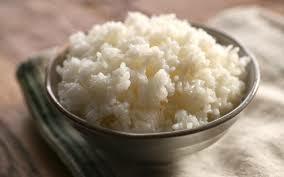 First, there was the revelation that rice can be contaminated with surprisingly high amounts of arsenic. A category one carcinogen, arsenic is known to cause cancer in humans. It occurs naturally in soil, but has become increasingly present in our environment because of industrial pollution and fertilizer runoff, which contaminates water supplies. Unfortunately, rice accumulates more arsenic than most foods, and as a result, is the single, largest food source of arsenic. But you can select varieties of rice that are less likely to contain arsenic, such as basmati rice, jasmine rice, or sushi rice. Even more important, you can choose to purchase rice only from areas with less arsenic pollution, such as California, India and Pakistan. White basmati rice from these areas has, on average, half the arsenic present in other types of rice. According to Consumer Reports, the highest levels of arsenic were found in rice from Arkansas, Louisiana or Texas. Unfortunately, the more nutritious brown rice, which still retains the hull of the bran and is high in B vitamins, potassium, magnesium and fibre, is even more likely to suffer from arsenic contamination (80% more arsenic, on average than white rice), but if you choose brown basmati rice from California, India or Pakistan, it has about a third less arsenic than other brown rices. In the case of arsenic contamination, there is no point in choosing organically grown rice, as it accumulates arsenic just as easily as conventionally-grown rice. You can also considerably reduce your exposure to arsenic by rinsing and then soaking your rice overnight before you cook it. Also, instead of using just enough cooking water to be absorbed by the grains, you should use a higher ratio of water to rice. For example, by using six cups of water for each cup of rice, you can remove an additional 30% of the rice’s arsenic content. Just drain the excess water before eating. More of rice’s nutrients are lost when cooking this way, but you also lose more of the arsenic. Aside from these arsenic concerns, a second blow against rice has come from Singapore, a country whose population typically eats 5-6 cups of rice daily. In response to rising rates of diabetes in Singapore and throughout Asia, Singapore has begun a campaign to reduce white rice consumption among its people. The heart of the campaign is based on a recent meta-analysis from the Harvard School Of Public Health, and published in the British Medical Journal, showing that for each bowl of rice eaten daily, the risk of diabetes rises by 11%. Even more sobering is the news that one bowl of white rice contains twice the carbohydrate content of one can of soft drink, and raises blood sugar just as quickly. Many Asians consider their diet to be better than that of the Western world, as it is mostly devoid of the soda pop and processed junk foods so readily consumed here. However, as Asians are genetically more susceptible to diabetes, and as they are increasingly adopting a more Western, sedentary lifestyle, the rate of diabetes is beginning to rise there too. Hence, the warnings about white rice. Singaporeans are being advised to reduce their white rice intake, or substitute some brown rice for the white rice, to lower their glycemic load. And to further spur his countrymen into action, Dr. Stanley Liew, a diabetes expert at Raffles Hospital in Singpore, has warned that in terms of sugar content, white rice is just as bad as sodas, pastries, and other junk foods. Does that mean we, in the West, should also be avoiding white rice? Not necessarily. Westerners typically consume a fraction of the rice that Asians do, and most experts here are more concerned about our consumption of soft drinks, and our rising obesity rates when it comes to diabetes risk. Even in Asia, experts note that rice consumption hasn’t been increasing, and so should not be considered the true culprit in this new diabetes epidemic. If diabetes is becoming a health issue in Asian countries, it’s more due to a general decrease in physical activity and an overall increase in food intake that’s taking place as Asians become more affluent. So, where does that leave us, when it comes to eating rice? Well, in spite of the higher arsenic content of brown rice, it is still a better choice than white rice, health-wise. If you choose long grain, jasmine or basmati brown rice from California, India or Pakistan, and then rinse and soak it before cooking in plenty of water, you can avoid most of the difficulties with arsenic exposure. And since long grain brown rice has a lower glycemic index than white rice, it’s better for your blood sugar too. Just be sure your diet is well diversified, and you eat plenty of different foods. Rice should not be eaten with every single meal, and should be substituted with other, healthy, whole grains from time to time. Most dietary issues result from eating one type of food over and over again. To ensure you are getting a wide variety of nutrients, you should make sure you are eating a wide variety of foods. After all, as its always been said, “variety is the spice of life”.